In the construction industry, the term elevation is used to describe a detailed technical drawing of one face of a building. These drawings are two dimensional and will only show what is visible from a perfectly flat view of the building. 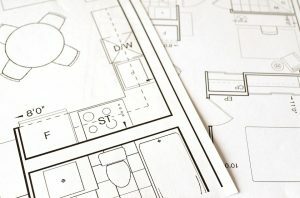 In regards to your home, there are several reasons that you would need to have elevations drawn up, but probably the most common reason is if you are seeking to undertake building work on the property. This could be for maintenance or extension purposes, but in both cases you may well need to know how the existing structure is formed, as this will inform the planning of any repair work or changes you may wish to implement. 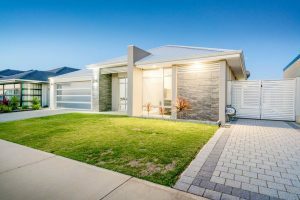 In either case you will require an accurate survey from a professional company such as V Mark Survey to ensure you have high quality data to base your plans on. There are several different types of elevation that you might require for you property; some fairly obvious whereas others are a little bit more in depth, and understanding what these are and how to identify them will make the entire planning process considerably easier. These are the most straight forward elevations to describe, as their name essentially tells you almost everything. A front elevation is the representation of the building if you are standing outside whichever side is designated the front, usually this will encompass the main entrance, but there are always exceptions. The rear elevation is the same idea, just from the opposite side of the building and as such represents the back of the structure if you were looking at it. The side elevations are just as simple in concept as the front and rear elevations, in so much as they show a two dimensional orthographic representation of the building if it was seen from that side. The only added complication here is ensuring you are referring to the correct side elevation. The left and right side elevations are determined by their relative positioning to the front of the building, so if you are facing the front elevation then the left and right elevations are as you would perceive them now, with the left elevation being on your left, as you face the building. Do not be tempted to use “stage left” or “stage right” (ie. looking out from the front of the property) as this is not how the designation works and will confuse everything. The simplest way of describing this elevation is to call it a cross section of the building, or if you were to open the building up like a doll’s house. Split elevations show the floor plan and layout from the perspective of whichever external elevation has been designated, just with the outer wall removed, and are useful for showing internal structure. Although these definitions might seem simple in prospect, they can be easy to confuse, especially the side elevations. These represent potentially very costly mistakes that can be very simple to make and this should serve to illustrate why precise elevation drawings are essential when you are considering any building work whatsoever.